New members will receive training on hazing definitions, awareness and prevention during their first month in the respective fraternity or sorority. 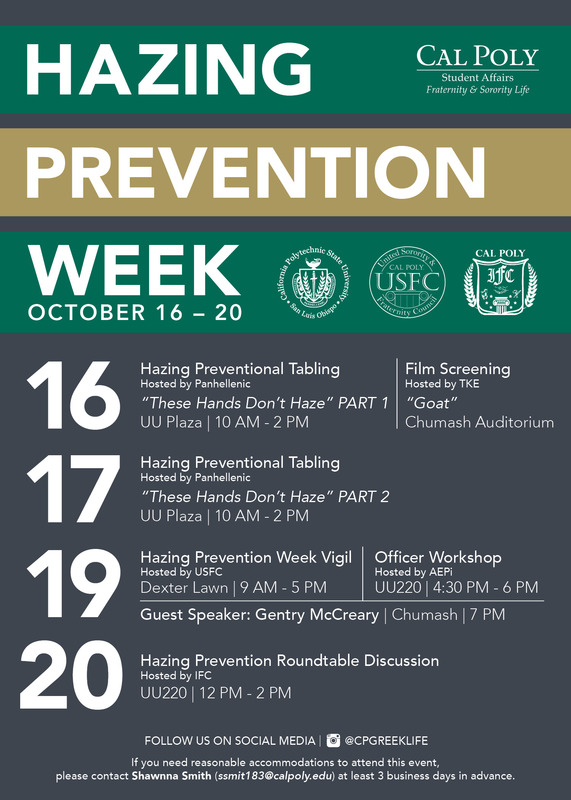 The inaugural Hazing Prevention Week will take place October 16th - 20th. This full week of events hosted by our 3 councils and IFC chapters, will focus on awareness, prevention and strategy for our members to utilize in keeping our community members safe. This week will include awareness campaigns, victims vigil, a hazing prevention film screening, as well as a training for chapter presidents and new member educators. 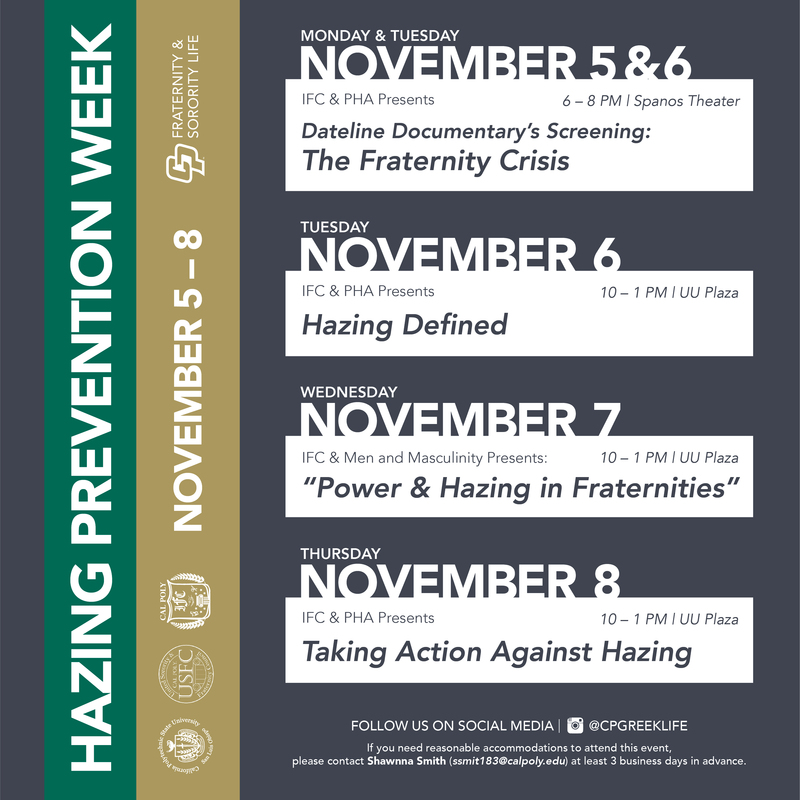 We will also be hosting a professional speaker, who will teach our community about hazing prevention efforts. Finally, we will end the week with a round table discussion about how our community can work together to prevent hazing. We will continue these conversations each month at council meetings and throughout the year, to ensure we are proactive in all safe practices. This year, the Fraternity & Sorority Life office in collaboration with IFC, PHA and USFC, will be launching our ongoing hazing awareness & prevention initiatives. 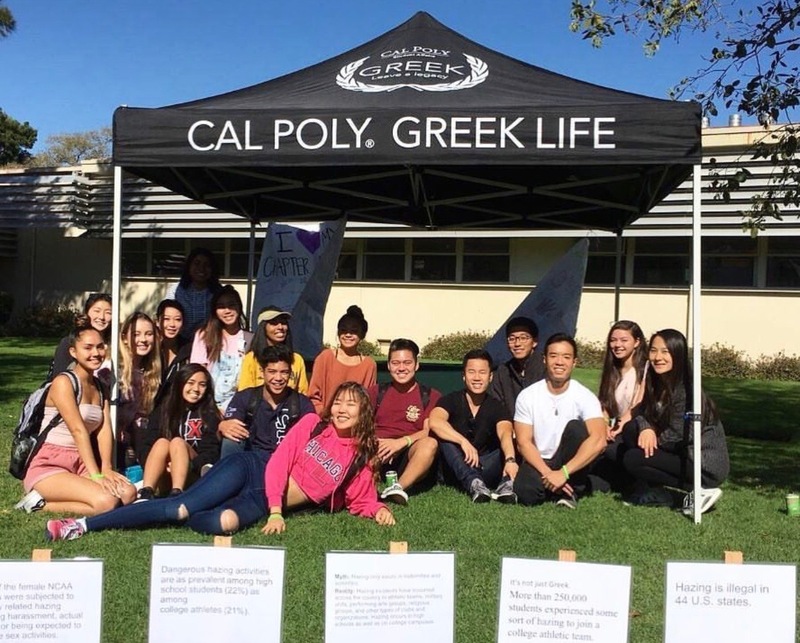 Every new member who joins our Greek community, as well as every active member in our community, will be required to complete an online module that defines hazing, discusses bystander intervention and teaches our members how to engage in activities that allow for bonding, without the unsafe traditional practices. All of our councils, chapters and our office do not tolerance hazing in any form. Please report any incidents of hazing to our Professional Staff at ssmit183@calpoly.edu or click the button below.